For me as a believing Christian, monasteries and churches have always been a very important item. As a student I made a study of gothic churches in the Netherlands. But also from the artistic and photographic point of view they are - even as a ruin - a wonderful scene!! The vaulted arches and pillars are impressive to get a good shot. The beautiful altar-pieces, pulpits and (wall)paintings show a deep religious devotion and artistic talents as hardly ever seen before!! Realising how many years or even centuries ago these churches, kathedrals and monasteries have been built. What an inspiring believe!! Anyway - what would our world be without the religous expressions in music and architecture!! Not only Michaelangelo, but also Bach and so many others!! It should make us humble in our modern time of engines and electronics!! It is this admiration that I would like to share with you in the following albums and pages!! How many churches alone in Europe would there be? I estimate some ten thousands!! How strange that some politicians want to 'scratch' out in official documents that christianity is one of the main elements in European history!! In recent years my wife and I have been visiting Spain quite often. 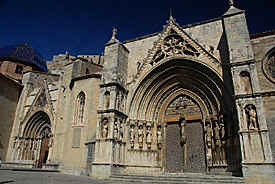 Enjoying and photographing so many cathedrals, like in Malaga, Morella and Valencia, but also many parish churches. 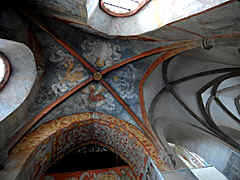 See new page about Churches and Monasteries of Spain This year, 2007, we made a trip through south Bohemia in Czech. May I ask your attention for churches and monasteries, like the pilgrimage church in Pribram! 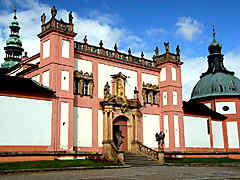 Or the John the Baptist-church in Jindrichuv Hradec and many more. But also so many cathedrals or even ruins in the UK, like Wells, Bath, Norwich, Durham, Salesbury etc. What about France, where the Gothic architecture started?! Not only Paris, but also Chartres, showing Gothicism at it's best, Amiens, Reims and Beauvaix with the highest choir in the world with more than 50 meters!! 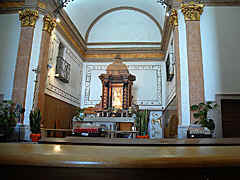 Altar-pieces in the choir or side chapels, unrevealed pieces of art and strong believe! Like in the 'Iglesia del Carmen' in Antequere in Spain. Just see the album of the page 'travelling'. In july 2009 we visited the very interesting city of Verona in northern Italy. So many magnificent churches there are here - worthy to visit again soon! Now the very old basilica of San Zeno in 2 albums. September 2009 - just 1 day in Salzburg, Austria, the church-city 'par excellence' so many interesting churches, like the famous cathedral. 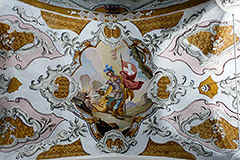 Barock in its best performance! In 4 continuing albums. May-June 2010 - Tenerife, one of the Canary Islands. Also here some interesting churches. Early summer 2010 we visited the Dolomites in South Tyrol. What an impressive mountainous region of unequalled beauty! 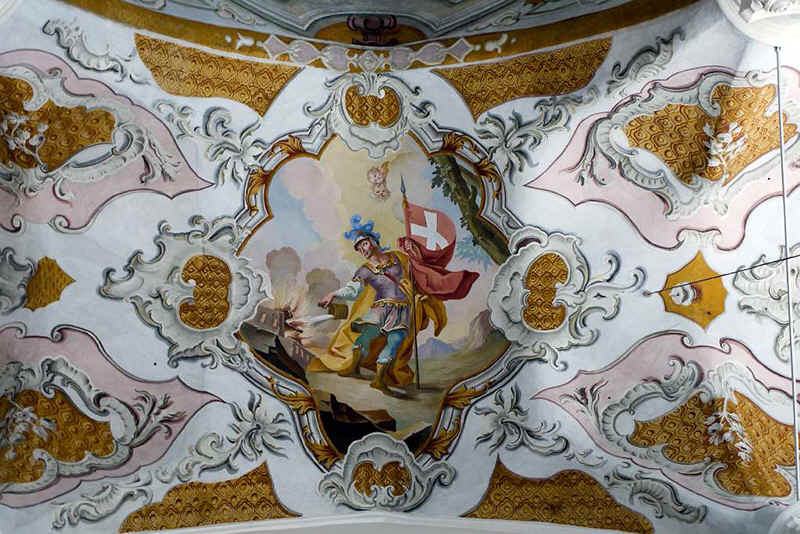 But also worth a visit of the many nice churches, and certainly the finest basilica of South Tyrol:Kloster (monastery) and basilica Neustift. And the Minster of Brixen with the Frauenkirche. Nice old city. And many other churches!! July 2011: churches in Switzerland\Graubünden and Austria\Tyrol. So many and so interesting!! 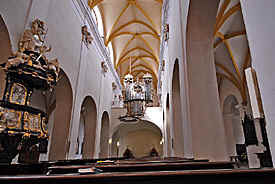 September 2011: A trip through West-Bohemia, Czech Republic, with many impressive churches and monasteries!! May 2012: Scotland - Edinburgh - the St. Giles cathedral with the famous stained glass-windows!! I could go on like this pages long, but I don't want to tire you with it. I invite you to admire with me the pictures in many albums. and Girona cathedral in 2 albums. September 2013 churches of Croatia-Dalmatia. Spring, April 2014: churches and cathedrals in Istria, Croatia, Slovenic Istria and Trieste, Italy. For instance the famous cathedral of Eufrasiana in Porec, UNESCO World Heritage!! September 2014 Trip through Czech Moravia - so much to see, old cities like Znojmo, Kromeriz, Olomouc etc. And castles, Palaces and so many fine churches. In 31 albums all together. June 2015 France the region around Rocamadour, Dordogne-Lot and the cathedral of Orléans. Rocamadour - Hospitalet - Martel - Collonges-la-Rouge and Sarlat-la-Canéda. Fall 2015 we were in the Black Forst agalin, in Germany. Just across the border in Switzerland the churches of Laufenburg end Schaffhausen. In February-March 2016 again in the Algarve in South-Portugal. What a beautiful coastal landscape!! But also interesting churches. In 8 albums. And April-May 2016 a trip through Roumania with exceptional churches and cathedrals. In 15 albums. May-June 2017: a trip through the Ardèche in France with several nice churches. June 2018: Nature and culture are well found in France, like in the northwest in Amiens, Beauvais and Rouen. cathedrals of great importance and very interesting with their mediaval stained glass windows or of modern art. The highest church the cathedral in Beauvails with more than 46 meters. Also many great cathedrals and churches in French Brittany like Tréguier, Guingamp, Dol-de-Bretagne, Dinan, Moncontour etc. In 66 (!!) albums and more than 1.500 photos. Enjoy culture at high level!! Can matter develop itself? Into a hammer? or a human being? Please, tell me!! How?? copyright © 2007-2019 | all rights reserved, including photographs! !